Enter your Display name and click Next. 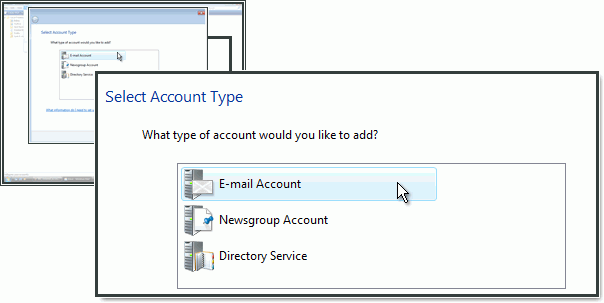 Select IMAP and enter imap.one.com in Incoming mail (IMAP) server. 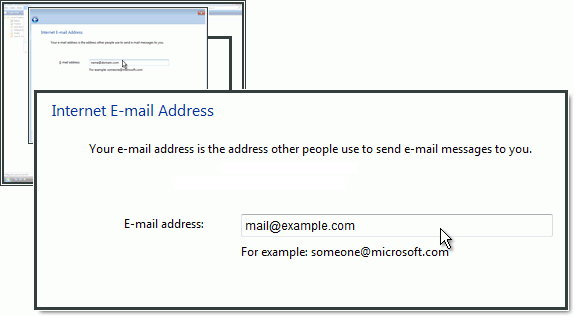 For Outgoing e-mail server (SMTP), enter send.one.com and check Outgoing server requires authentication. You have completed the setup. Click Finish. 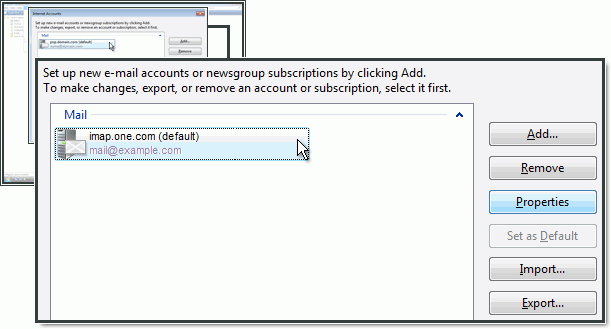 Select your newly created account and click the Properties button. 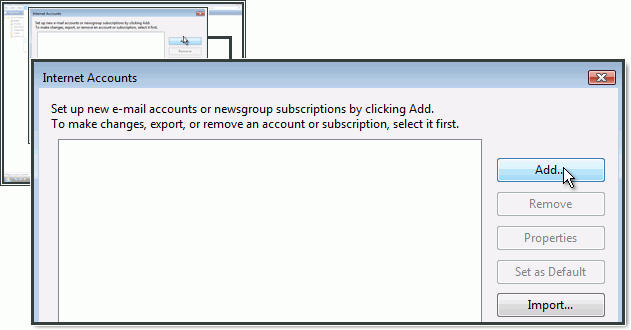 Choose the tab Advanced. 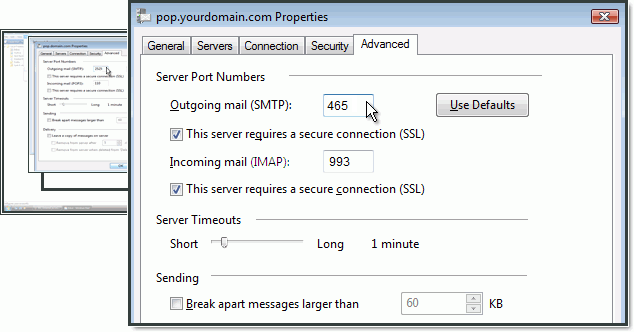 In Outgoing server (SMTP) enter 465 and select This server requires a secure connection (SSL). 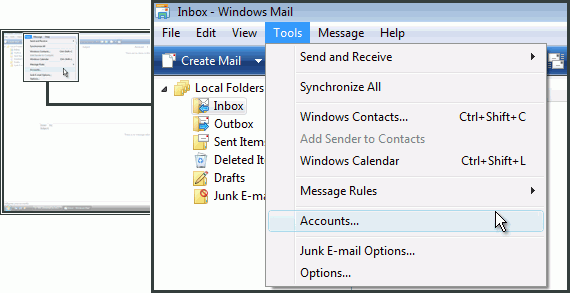 In Incoming mail (IMAP) enter 993 and select This server requires a secure connection (SSL).